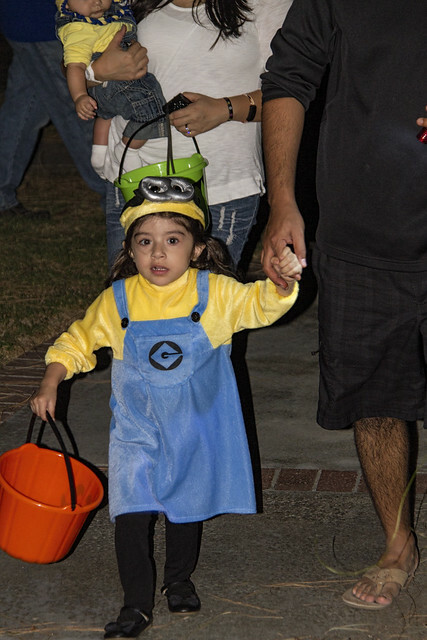 Downey Daily Photos: Trick or treat? It was a light Halloween for us this year. We still had crowds, but not nearly as many kids as last year. We barely went through three bags of candy. I think last year it was seven bags. According to the International Business Times, Samhain, which is an Irish Celtic festival, inspired Halloween. Samhain celebrates the end of the harvest season. The tradition spread to the rest of the world after the Irish fled Ireland because of the potato famine. 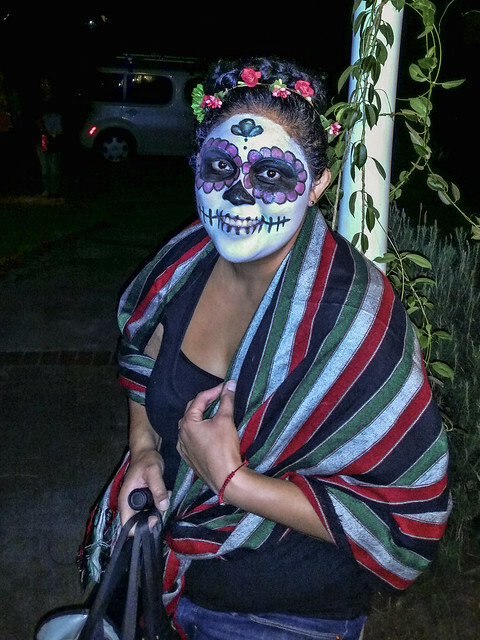 Of course, the Day of the Dead celebrations in Mexico developed from ancient traditions from its pre-Columbian cultures. 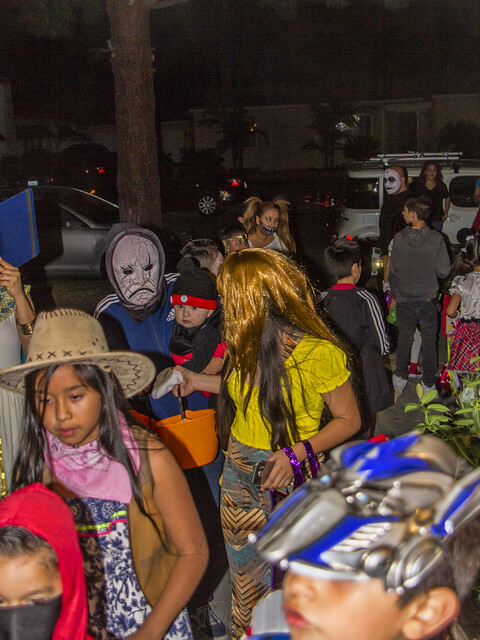 Either way, it has continued to be our custom to give out candy to neighborhood kids (and more often parents too) who dress up and go door-to-door, asking for "trick or treats."